The Swedish home furnishing giant is facing bad press in India due to a couple of recent incidents where bugs were found in the food offered at its restaurant in Hyderabad. Swedish home furnishing retailer IKEA's second mega store will open in Mumbai in March 2019. IKEA's fast expansion in India is marked by a huge response it received in the cyber city of Hyderabad in August. Rising sales and service revenue at the global level has given a boost to Ikea's expansion across the globe. This year alone, the company rose 1.3 per cent to 38.8 billion euros ($44.5 billion) from 38.3 billion euros a year earlier, the company said in a statement on Thursday. "Ikea will create a multichannel experience for its customers in India. 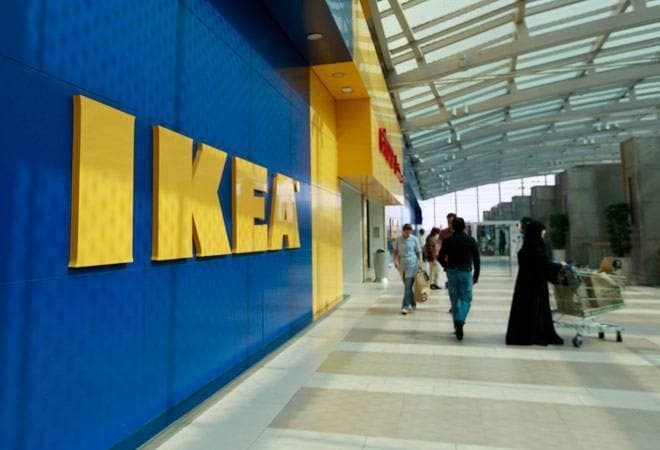 It will launch ecommerce in Mumbai early next summer (March) and introduce other touch points to bring the brand closer to customers," Ikea India Chief Executive Officer Peter Betzel told PTI during the third ground-breaking ceremony in Mumbai. Talking about IKEA's online presence, Betzel said IKEA wants to connect all kinds of platforms to maximise its revenue in India. IKEA is working on generating revenues through its online platform but the overall stress will be on the integration of both online and office stores. In the past fiscal year that ended in August, IKEA websites received 2.5 billion visits, an 8.7 per cent jump over its previous financial year. Apart from Mumbai, IKEA is also opening a 5 lakh sq ft facility in Bengaluru, a store where it is hoping to attract around 7 million customers a day. IKEA is known for its "low-cost flat-pack furniture" and sprawling stores. The company has opened 19 new outlets around the globe in the past one year, including its first in Hyderabad and Latvia in August. Overall, the company has presence in over 50 cities in the world. The Swedish home furnishing giant, however, is facing bad press in India due to a couple of recent incidents where bugs were found in the food at its restaurant in Hyderabad. On September 20, a customer found an insect inside a chocolate cake while his daughter was eating it. About a month earlier, IKEA India had to stop the sales of its popular vegetarian biryani and samosas, after a caterpillar was found in its vegetable biryani. The municipal corporation had imposed a fine of Rs 11,500 on the company for violation. The episode had not only proved to be a major embarrassment for the Swedish furniture giant but also brought it under the scanner of the municipal authorities, who inspected the restaurant and collected food samples for bacteriological analysis.